Written by andy on January 19, 2017 . Posted in News. BNRG Renewables Limited and French renewable energy group Neoen today announce their joint venture to develop, construct, own and operate a portfolio of solar projects in Ireland. The joint venture, BNRG Neoen Holdings Limited will co-develop a portfolio of 23 projects in the South and East of the country totalling over 200 Megawatts (MW). When constructed, the planned total investment in renewable energy infrastructure will exceed €220m, creating up to 60 full-time positions in operation and maintenance, another 2,000 jobs during the construction phase, along with additional indirect jobs supported within the broader supply chain. Construction is expected to commence in mid-2018 with the final projects to be constructed by 2020. Multiple projects will be submitted for planning over the coming months. It is widely expected that large-scale solar projects will be support under new renewable energy support policy to be announced this year. The solar parks and farms will connect to the distribution grid network and will meet the electricity demand of around 80,000 homes locally. BNRG Renewables is the largest and longest-established Irish solar company. 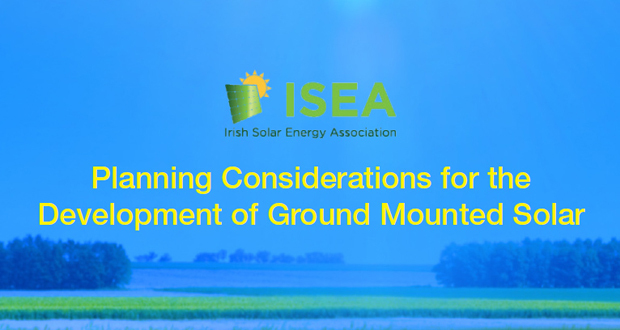 It was an early entrant into solar markets in Europe and the US and is eager to lead the development of the Irish market. Construction will begin this year on its first project on the island of Ireland – a 13.5 MW project in Co Down. 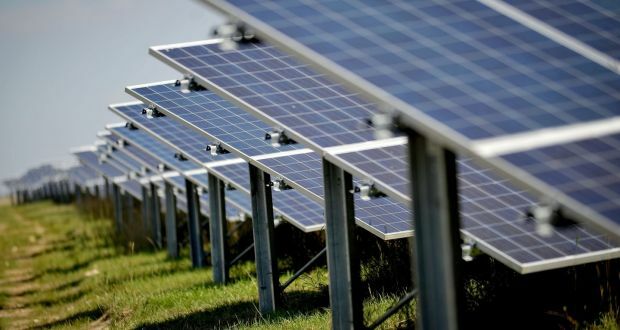 The company has already developed and constructed more than €230 million of Solar PV projects in Europe since 2007, including the completion, in 2016, of a portfolio of more than 20 MW of projects that it owns and operates in the UK. It recently entered the US market, with a pipeline of more than 140 MW at an advanced stage of development in the US. David Maguire, Director of BNRG Renewables said: “This unique partnership represents a significant investment in renewable energy in Ireland and will be well positioned to deliver first class projects, and real value to the Irish consumer. Neoen is an independent power producer, generating electricity from renewable sources – solar, wind or biomass – since 2008. It develops, finances, builds and operates plants and is active in France, Portugal, Australia, Mexico, Mozambique, Jamaica, Zambia, Jordan and El Salvador. With a current base of 1,000 MW, Neoen seeks to achieve installed power of more than 3,000 MW by 2020. The company completed construction, in 2015, on the largest solar PV project operating in Europe. The plant, located near Bordeaux, has the capacity of 300 MW and its annual generation is equivalent to the total power consumption of all households in Bordeaux. Written by andy on July 20, 2016 . Posted in News. 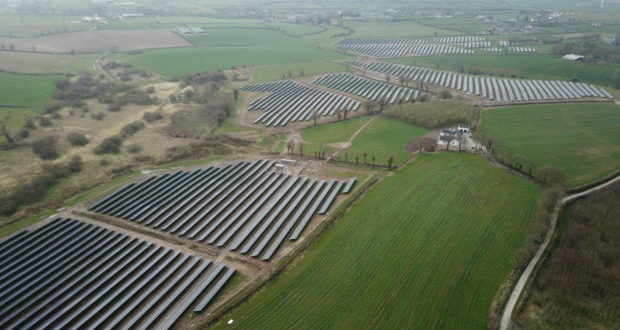 Ferry Farm Community Solar, a community benefit society, is celebrating as the 5MWp community solar farm near Selsey, West Sussex has been connected to the grid and the panels are now generating electricity from the sun. The solar farm will produce enough electricity to power the equivalent of 1,300 local homes. The project was pre-accredited in June 2015 for the government feed-in tariff for 20 years. The project is being funded by £4.3million of capital raised by investment specialists Triple Point from over 100 private investors, and a community share offer, which has recently launched, to raise a target £630,000. The community shares offer an intended return of 6% per year plus return of capital over 20 years and are eligible for inheritance tax relief. To find out more see www.ferryfarmsolar.co.uk. Each year a portion of income generated by the solar farm will be used to support community organisations and projects in the local area. Ferry Farm Community Solar is looking forward to collaborating with other community energy enterprises in the south of England on a range of renewable energy, fuel poverty and energy efficiency initiatives. The project was initially developed by solar specialists BNRG Renewables and the Langmead Group, a local food and farming business. Community energy advisors, Communities for Renewables CIC, has helped set up the Ferry Farm community society which manages the financing process and will provide ongoing administrative support. Solarcentury took steps from the outset to ensure local wildlife was protected throughout the project – this included over 1km of reptile fence and an extensive landscaping and ecological mitigation plan. A landscaping plan is also being instigated to ensure that any potential visual impact is minimized. Ecology in the area will be enriched and rejuvenated further with wildflower seed mix and hedge / shrub planting. Solarcentury will also be installing over 350m of public bridleway which runs through the centre of the site. David Maguire, director of BNRG Renewables said: “BNRG, in partnership with the site’s landowner, Langmead Farms, are particularly proud of successfully bringing Ferry Farm from initial opportunity all the way through to energization. This project was achieved through great collaboration between Community for Renewables, Triplepoint and Solarcentury and is a testament to the ability of community ownership to deliver great projects, clean energy and real community benefit in the form of up to £1m of community contributions over the life of the solar farm.